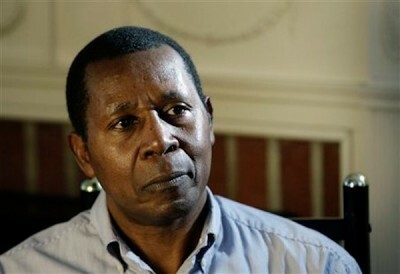 Professor Munyakazi was deported from the United States of America following a decision by the United States Court of Appeal in Richmond, Virginia. That tribunal has a legacy of racism and of discrimination against African people dating from colonial slavery days, the rebellion of the Southern Confederacy, and later, the Ku Klux Klan and Jim Crow resistance to human dignity and civil rights for African Americans. From my standpoint as a legal observer to the proceedings conducted within the Fourth Circuit, the evidence connecting Professor Munyakazi appeared to be either shallow, and when not that, contrived. Despite the paucity of evidence and the token due process, Leopold‘s application for relief was denied by a judiciary hypersensitive to the waves of hysteria permeating American national life against immigrants and refugees. It was shameful for the U.S. Justice Department, albeit under token African-American executive leadership, to collaborate in an agenda for deportation to satisfy interests other than the interests of substantial justice. If you are planning to visit the United States, please feel to contact me.Please use your magisterial authority over the inferior jurisdictions of your Republic to assure that a decent man has his fair day in court.